CI is a highly contagious viral disease which causes upper respiratory symptoms (cough, sneezing, nasal discharge, etc.). Symptoms range from mild to serious, though the diseases is rarely fatal and many dogs do not require medical treatment. There are two varieties of CI, H3N2 and H3N8. Neither can infect humans. There are several vaccines available to protect against CI. Some are specific to one strain, others can provide some protection against both strains. There is some evidence to support safety and efficacy for these vaccines, however the information available is limited. Some have been conditionally licensed, meaning that they have been approved with less than the usual required research evidence in order to allow a faster response to the threat of CI outbreaks. Whether or not a dog should be vaccinated, and with which vaccine, depends on the risk of exposure, the health of the dog, and a variety of individual factors that should be discussed with your veterinarian. There is no evidence to support claims sometimes made by anti-vaccine activists of serious harm or lack of efficacy for these vaccines. There is also no evidence to support claims that alternative methods, such as homeopathy, nutritional strategies, herbs or supplements, or other methods are effective in preventing or treating CI. Some, such as homeopathy, clearly are not effective. Others have not been properly tested. Unfortunately, because CI occurs in outbreaks it is the sort of disease that encourages hysteria and panic. This tends to lead to a proliferation of misinformation about the disease itself and about prevention and treatment. The usual opponents of science-based medicine and vaccination tend to come out of the woodwork to oppose or denigrate legitimate prevention and treatment methods and to promote unscientific or untested alternatives. The mainstream media is often unable to distinguish between legitimate expertise and ill-informed passion on medical topics, and so advocates of pseudoscience often get opportunities to spread their misinformation. This morning, for example, a report on CI was broadcast on the popular CBS Morning News program. In a classic example of false balance, the reporter interviewed not only veterinary medical personnel and experts at the University of Florida but also an anti-vaccine activist from one of the most extreme and unreliable sources of veterinary medical misinformation available, Dogs Naturally magazine. This kind of uncritical reporting of medical issues misleads viewers and supports claims and fears that have no legitimate scientific basis. I was deeply disappointed with this report on canine influenza. In the course of this report, you interviewed Dana Scott of Dogs Naturally magazine, who suggested that vaccination for canine influenza was unnecessary and driven by profit rather than medical considerations. Ms. Scott has no medical or scientific qualifications or expertise. The web site and magazine she is affiliated with promote extreme anti-science positions and medical quackery that endangers the health of veterinary patients. Hopefully, you would not interview an astrologer to “balance” the opinions of an astrophysicist like Neil Degrasse Tyson. I presume you would also not solicit the views of proponent of witchcraft or faith healing to balance the views of your own medical correspondents. Interviewing Ms. Scott and promoting her extremist and unscientific views is equally irresponsible and a disservice to your viewers, who may be misled into believing her views have some scientific legitimacy. The decision whether or not to vaccinate for canine influenza and which vaccine to use should be based on exposure risk and scientific evidence regarding the relative risks and benefits of vaccination. The irrational and unsupported views of anti-vaccine activists should have no role in such a decision. As a regular viewer of your program, I am now obliged to question the validity of your reporting on other areas in which I do not have expertise since you have failed so dramatically to present accurate information on a subject about which I am familiar. I hope you will take responsibility for this mistake and clearly remind your viewers that the consensus among experts and scientists is not consistent with the unsupported and extremist views of Ms. Scott. We have seen several cases, which we have confirmed with testing to be H3N2. These dogs are being treated as outpatients. There are currently several dogs in ICU at the University of Florida. Anyone who says vaccination is only to make money should have to visit those dogs in ICU and tell us how they think the cost of vaccination compares to that. 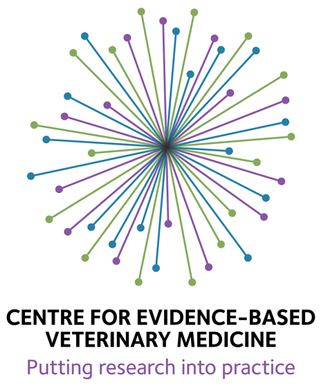 I have been to two CE meetings about dog flu and did not think at the time there was enough evidence the vaccine was safe and effective enough to use but I am willing to again look at any new evidence. I had to talk with three of my clients yesterday about dog flu due to a local vet getting on TV telling clients if they did not get the jab their dog might very well die. Are there any countries that have still rejected dog flu vaccine approval like they have FIP vaccine approval? The vet who discovered dog flu told us at a CE meeting before any USDA dog flu vaccine approval she was not able to get vaccine approval because the usda did not think there was a big enough problem to justify a new vaccine. I vaccinate most of the time for political not medical reasons now. I do not tell the owner the pet needs the “annual booster” but the owner wants it for political reasons. The public does not understand dog flu vaccines are not reformulated every year. The kennels in florida now want a flu shot every year with the same jab the dog got last year. I stopped telling clients about 25 years ago their dog did not need vaccinated every year. I wished at the time there was a flu vaccine dogs and cats really needed every year so I could medically justify telling clients they medically need an annual visit. Annual exams have not been shown to produce better outcomes. The USDA needs to pull the give every year label off these flu vaccines or justify why they do not require them to be reformulated every year like fda approved human flu vaccines if the usda approved label advises dog flu vaccines to be given every year. The question of whether the evidence is enough to recommend the vaccine is a subjective one. There is evidence, both canine challenge studies and pre-clinical studies in vitro and in lab animals, to indicate there is some efficacy. And there haven’t been any verified serious post-market adverse effects. However, the clinical research has been less thorough than usual because of the desire to get a vaccine on the market quickly because of the size and speed of the initial outbreak. I generally tell clients that if there is a significant risk of exposure (confirmed cases in the area, travel to dog shows, etc), then it is likely the vaccine will reduce infection and/or symptoms without significant risk but that the data is limited, so it’s a judgement call. There is no need to reformulate the vaccine annually. All of the outbreaks have involved only two strains. Human flu viruses circulate continuously and much more widely, so they change faster, which is why the strain differs every year. Dogs don’t travel and mix the way people do, and outbreaks have so far been localized and contained, which means the variability has been much less, so that’s not a reason to avoid vaccination. The epidemiology is different, so the protocol is different. As for duration of immunity, it depends on the vaccine. Core MLV tend to last a long time (5-7 years at least and possibly longer for distemper and parvo, for example), whereas killed vaccines have much shorter DOI and so boosters are necessary, especially if they are not adjuvanted. The current influenza vaccines are mostly killed (though there is one MLV, I believe), so annual boosters are not unreasonable. People seem to have a hard time understanding that vaccination protocol depends on the biology of the disease and the nature of the vaccine, so we can’t just say annual vaccination is always or never appropriate, we have to understand the details for each vaccine. I fear dog flu vaccine is little more than another politically promoted Wall that’s not going to have a significant effect decreasing the incidence of kennel cough. Well Of course a flu vaccine isn’t going to be effective against kennel cough seeing as how that is a completely different disease. I don’t have a DVM behind my name and I at least know that bordetella and influenza are two different things. Hell one’s a virus and one’s a bacteria. Paul, Kennel cough is a basket term for a bunch of diseases both bacterial and viral. I would guess we have identified by now about two or three dozen infectious agents that cause “kennel cough”. Current thinking is the serious kennel cough cases usually involve two of these agents infecting at the same time. “Kennel Cough” isn’t a disease at all. It’s just a lay term for any infectious upper respiratory disease in dogs involving a cough. The technical term is Canine Infectious Respiratory Disease Complex (CIRD). Canine influenza is one of many infectious agents that can cause what owners tend to call “kennel cough,” as is Bordatella, so both can be part of the prevention of this syndrome. Has anyone gone in for there annual killed polio vaccine this year? My physician would go to jail if he kept giving all his patients annual killed polio boosters. We give annual pet boosters and get to go to the bank. My favorite annual booster promotion by a veterinarian was at a required by law CE vaccine conference during the time they were impeaching president Bill Clinton. The Continuing Education speaker was paid to speak by one of the pet vaccine companies. According to the speaker dogs and cats needed annual vaccine boosters but people do not because animals are down on all fours on the ground where they lick and eat things getting more exposure to infectious disease than humans. I raised my hand and ask the vaccine speaker since the press had reported Monica Lewinski was doing similar type animal behavior in the White House should she get annual boosters every year. Without cracking a smile the vaccine speaker said “maybe she should”. Sorry, Art, but that’ a bad example. For one thing, most of us had modified live polio vaccine. The killed vaccine is safer, and the risk is very low since the disease was largely eliminated by by use of the MLV vax, so now we use the killed. This, of course, has absolutely nothing to do with annual re-vaccination for canine influenza. If you have some evidence that the DOI is greater than 1 year for this vaccine, feel free to present it, but this kind of arguing by analogy from other vaccines doesn’t work. in the old days we privately told each other the dogs did not need annual boosters but getting the dog into the office would save lives because we could do annual physicals to find problems early. Of course its tough saving lives with annual visits if you are charging the client for something the pet does not need. Current Veterinary Therapy 11 page 209 was the first published article way back in the 1980s that you could give the client to read about why we were giving dogs vaccine boosters every year to get them in for a annual visit not because the vaccine was needed. I think Ronald D. Schultz, one of the co-authors of the cvt article, is retired now. Nothing much has really changed since the 80s. All my vaccines that I buy to use for medical reasons have a usda approved label that says to booster the vaccine in a year even though studys have been done to show the vaccines that I use do not need boostered every year. When the government is involved in health fraud doctors are urged to say away from it as much as possible but my clients find they cannot take there pets anywhere without getting annual booster so they come in and I give the annual jabs but I do not tell the client the dog medically needs the jab. Below is what has been published since the 1980s about what we know and do not know about this subject. It has been common practice since the development of canine vaccines in the late 1950’s to administer them annually. The recommendation to vaccinate annually was based on the assumption that immunity would wane in some dogs, thus to ensure immunity in the population, all dogs required revaccination since it was not practical to test each animal for antibody. Little or no research has been done to demonstrate that the practice of annual revaccination has any scientific value in providing greater immunity than would be present if an animal was never revaccinated or was revaccinated at intervals longer than one year. You don’t have annual polio boosters, if they are appropriate you have them every ten years and, yes, I have had mine. But then my mother had polio in the fifties so vaccinations ae something I keep up to date on. I don’t want to have to learn to walk again because my balance muscles don’t work. The most important quesion is what is the harm in over vaccination? Yes there is a tiny percentage of dogs who react badly and clearly they shouldn’t be vaccinated, but what is the harm to the rest? It is not clear to me that there is any harm. Furthermore are you sure that all vets are vaccinating annually for everything? My vet certainly doesn’t there are things done annually and things done three yearly. vaccines have saved more lives than any other medical advancement except clean water but they are not innocuous. where did I say that? Back in the 1950s when we only vaccinated for a couple things that was true but now there is over a dozen diseases we can now vaccinate a dog for. I have not seen a vet vaccinating for all of them let alone every year for all of them. preventive medicine is different then trying something that might work for a symptomatic patient. it’s probably good to get boosters. That way you could be for sure that you have enough protection. we should get boosters for polio. Why don’t we? and actually, the lucky people who survived the virus had their muscles affected. Everybody else actually died. my dog doesn’t get a flu vaccine. I didn’t know there was one in my vet did not say she needed it. I also heard there is a vaccine for Lyme disease. Lyme vaccines are available for dogs. Lyme vaccine was marketed for humans. The difference? Annual booster labels. The FDA did not allow human annual lyme booster labels because It listens to David Sackett. The USDA approved dog Lyme booster labels say booster every year. Do vaccinated dogs shed CI virus in stool etc? Is it a live virus/killed/attenuated? There has been research on a live attenuated H3N2 vaccine, but none is on the market. There will, obviously, be no shedding of live virus following use of a killed virus vaccine. Even with the modified live intranasal flu vaccine used in humans, shedding is estimated to happen in only 1-2% of people vaccinated, and since the virus is attenuated, it isn’t going to cause infection in others. I would expect the situation with a MLV flu vaccine for dogs to be similar if one eventually comes on the market. 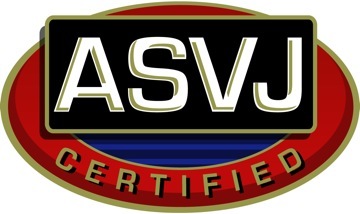 I have boarded dogs at multiple kennels in Wyoming, and am always required to provide a vaccination certificate. This requires some vaccines be updated annually, with no way around it! Yes, it’s unfortunate when groomers and boarding facilities make vaccination policies that aren’t consistent with science and the recommendations of veterinarians. Most of the local facilities in my area have come to accept a letter from the veterinarian indicating when vaccines are due rather than demanding proof they have been given at a certain interval. I leave that blank on the vaccine certificate. If the Holliday Inn required a physicians vaccination certificate indicating when I needed another Polio booster I doubt my physician would write down a date for another Polio booster just so I could sleep at the Holliday Inn. I own a pet spa in Georgia. We provide grooming and boarding for pets. Recently we had an outbreak of “kennel cough”. Pets that had received an up to date vaccine contracted this virus. I have read (5 articles) that their are 40 agents that can cause the virus. And that the vaccine only covers 2 of these. Also the dogs are shedding the virus out of their system for 7 weeks. Here recently in Perry GA we had a dog show where the majority of the dogs that attended contracted the flu. Now these dogs that attend the show have to have a certificate from the vet showing that they have received their vaccines. This includes the canine flu vaccine. So can you tell me why these dogs are getting sick if the vaccine is the way to go? Why does the “kennel cough” vaccine only cover 2 agents? Aren’t we putting dogs are rick if they are shedding the virus out after vaccinations are done? Your information isn’t really accurate. There is no defined medical condition of “kennel cough.” This is just a common casual term for any infectious upper respiratory disease dogs can catch from each other. It’s like calling everything that causes humans to cough or sneeze a “cold,” even though there are dozens of viral upper respiratory infections that have similar symptoms. In the case of dogs, the defined medical condition is called Canine Infectious Respiratory Disease Complex (CIRD). There are quite a few different viral and bacterial organisms that can cause similar symptoms and which all get indiscriminately called “kennel cough.” The “kennel cough vaccine” is really a vaccine for one of these, the bacterium Bordatella bronchiseptica. It gives pretty good protection (about 80% reduction in infections) for a reasonable period of time (4-6 months, depending on the type of vaccine used, the individual dog, and other factors. It won’t, however, prevent every other cause of CIRD. So getting the vaccine is worthwhile for dogs with exposure to other dogs since it reduces the chances of getting one of the most common causes of CIRD, but some dogs may get one of the other causes of CIRD despite being vaccinated. Some of the other CIRD agents have potentially useful vaccines (such as canine influenza virus), but for most there is no vaccine. Fortunately, most dogs only get mild illness, even with potentially serious causes such as the influenza virus, and many never get sick at all, they just fight off the bugs. However, while being vaccinated is no guarantee a dog will never get sick from any of these agents (and a vaccination certificate isn’t supposed to be viewed as such a guarantee), vaccination still reduces the overall risk by preventing some infections. Vaccination isn’t perfect, but it’s still better than not being vaccinated. There is no perfect way to prevent all CIRDs cases, just as there is no way to make sure you never get a cold. But this isn’t the bubonic plague we’re taking about, either, so while precautions are reasonable, life has some unavoidable risks, and still seems reasonable to let dogs mingle at shows and boarding facilities even though a few may get an “cold” from time to time, just like we do, and a tiny, tiny number may get a serious illness, just like what happens when people interact. Is running a titer a legitimate way to determine if a booster is necessary? Unfortunately, there is no simple yes-or-no answer to your question. I have written a post discussing this issue in detail. If a certain titer level has been shown by challenge testing to be predictably protective against a particular disease, then a high titer can indicate no vaccine is needed. However, for many diseases high titers don’t necessarily mean an animal is protected. And a negative titer cannot be used to indicate vaccination is needed because animals can be protected against infection by other aspects of the immune system that we don’t measure, not just by antibody levels. Titers are most useful to show that a patient has responded appropriately to vaccination, but they aren’t a very good guide to when we should or should not vaccinate. There have been studies showing some protection against Bb infection up to a year after vaccination, but there is also some evidence that the efficacy wanes over the course of the year. More than a year is not recommended for this vaccine because there is not evidence that protection lasts longer, as it does for other vaccines. You seem to continue to act as if all vaccines are the same and because annual boosters are not appropriate for some they must not be appropriate for any, but this isn’t an evidence-based approach. I think annual veterinary revaccination is economically conceived. If you think its been medically conceived I can understand why you think I am not following an evidence based approach. In my opinion Little or no research has been done to demonstrate that the practice of annual revaccination has any scientific value in providing greater immunity than would be present if an animal was never revaccinated or was revaccinated at intervals longer than one year. Sort of like annual check ups, I want more proof for preventive care.